Vivid Racing chooses Wald International aerodynamic parts for their top class products designed to improve the appearance and performance of your vehicle. The Quality, fitment and design of Wald are unmatched in the industry. Constructed of Carbon Fiber, Wald Aero kits are both light weight and durable. Wald International designs its products to compliment the vehicles existing lines, adding unique style with understated class. All Wald products are direct fitment designed with specific vehicles in mind. Wald pieces not only add style to your vehicle but also increase efficiency by reducing drag. Increased aerodynamics keep vehicle stable at high speeds and provide better handling characteristics. 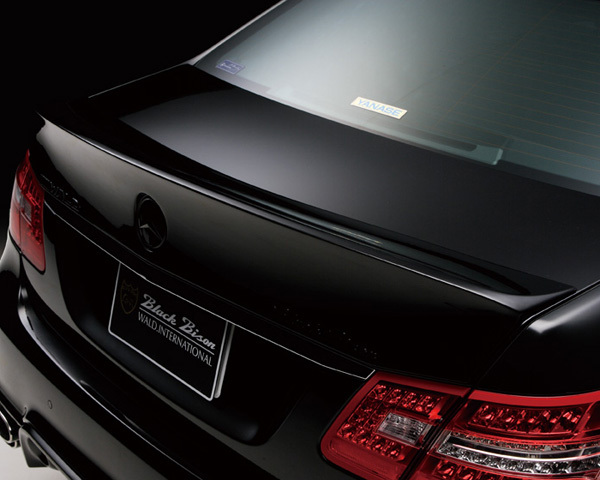 Fits 2010+ Mercedes-Benz E350 / E550 models.